As in past years, J&K had the highest number of documented incidents, including a shutdown that affected both mobile and fixed-line connections, in some cases for weeks at a time, in summer 2016. 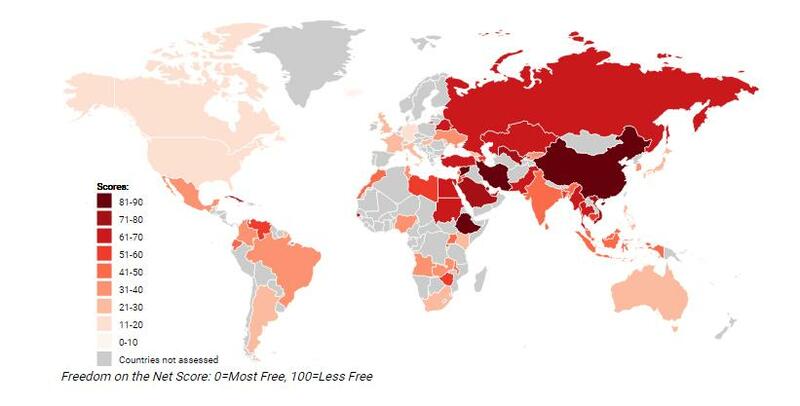 China has the worst and Estonia the best score in the internet freedom index prepared by Washington-based think tank Freedom House. In its “Freedom on the Net 2016” report, Freedom House said India scored 41 (with 0 as best and 100 as worst) for internet freedom. The firm classified India’s net freedom status as “partly free” in its study period between June 2015 and May of this year. “Internet freedom declined slightly in 2016, offsetting gains made in 2014 and 2015. The number of network shutdowns ordered by local authorities increased dramatically,” the firm said in its report. 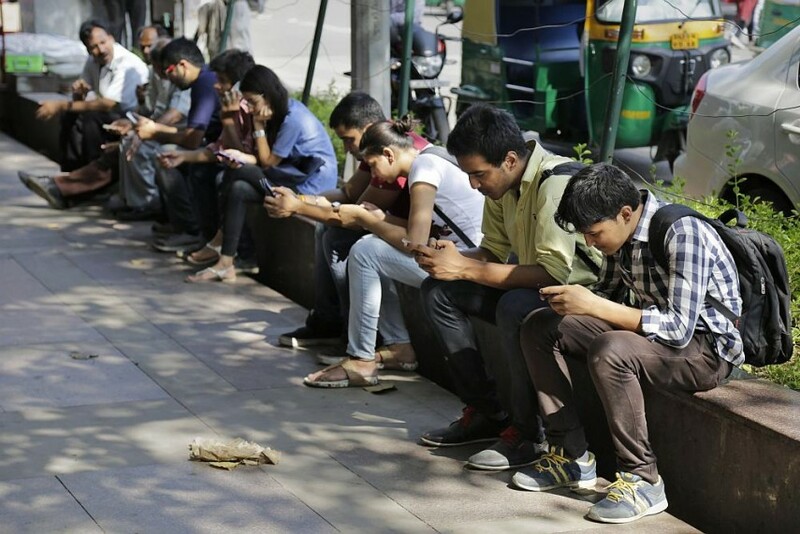 The number of internet shutdowns has increased significantly in the past two years in India, it said quoting reports. As in past years, Jammu and Kashmir had the highest number of documented incidents, including a shutdown that affected both mobile and fixed-line connections, in some cases for weeks at a time, in summer 2016. After Jammu and Kashmir, the highest numbers of shutdowns were recorded in the state of Gujarat, it said. "Local authorities ordered service providers to temporarily shut down Internet access in at least 23 reported incidents in various states. In 2016, the Supreme Court dismissed a petition challenging the use of broad powers provided to state governments under the criminal procedure code to shut down internet services," the report stated. The Supreme Court also upheld laws criminalising defamation which apply to both online and offline speech. And what worked in India’s favour are the strong net neutrality regulations that were implemented following sustained digital advocacy. Internet penetration in India continued to increase in 2016 with mobile penetration playing a significant role. India’s neighbor Pakistan has been included in the list of countries with lowest score for “Freedom on the Net”. The only countries that ranked below Pakistan included China, Iran, Syria, Saudi Arabia, Ethiopia, Vietnam, Cuba, Uzbekistan and Bahrain. Next Story : Mamata's Lone Crusade Against Demonetisation?